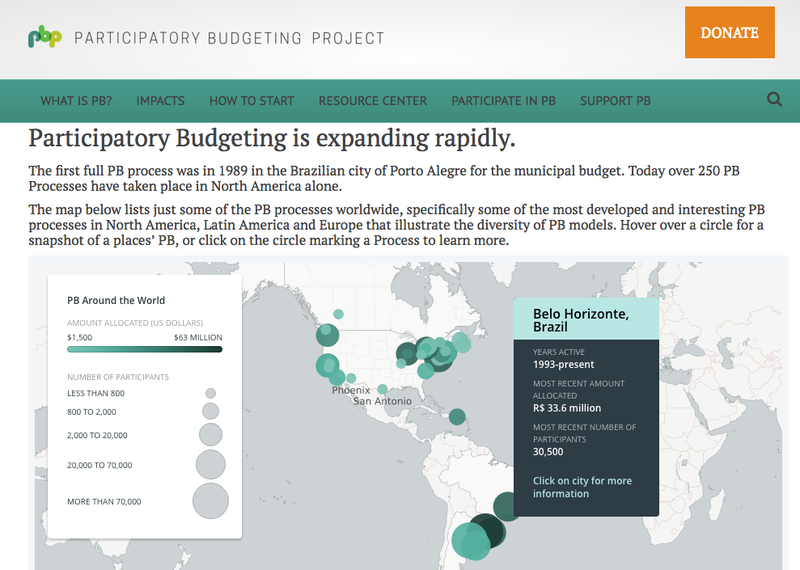 Part of my work in early 2017 was to methodically go through the digital assets of the Participatory Budgeting Project and decide which to prioritize to update. Given that the Case Studies web page is consistently in the top five visited pages on the site, and that the demand for a clean and ordered set of data about Participatory Budgeting is growing, it made sense to design and deliver that data. View the map and see or download the data set on PBP’s website here.